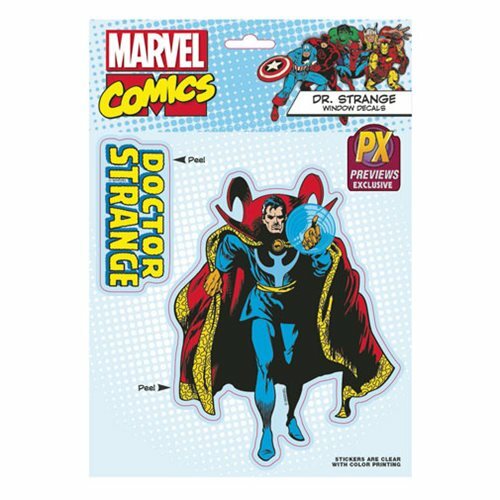 Shopping for Doctor Strange Stickers? By the Flames of the Flawless Faltine! Summon the forces of the mystical realm with this awesome Doctor Strange Classic Decals Previews Exclusive featuring the vintage comic look of Dr. Stephen Vincent Strange and his logo. The two stickers are clear with color printing. Ages 14 and up.